I’ve been off the blog since 2013, when I finally listened to all my trusted advisers who kept saying, “FOCUS UP, MICHELLE!” I’ve defended my thesis, a super-cool analysis that shows that if you think about video game “addiction”1 in a way that takes into account patterns of game and Internet use (i.e., using latent class analysis), it looks like teens aren’t, as a whole, more addicted or less addicted to video games. In fact, there are social and non-social subgroups, and teens who play a lot of video games but also spend a lot of time socializing online generally feel less addicted and are better off mentally. I did find that most teens who fell into groups that play a lot of video games (4+ hours a day for 6-7 days a week) are more depressed, but a small percentage of the social gamers (about 5% of the boys) were not depressed, and overall, the social gamers were less lonely and less socially anxious than the teens who didn’t game heavily. So now you’re up to date on that. how being social online can be helpful. There were a lot of aspects of getting my Ph.D. that were like a huge, hairy quest, but most of them were more of the epic woman-against-self-conflict type rather than the Twenty Bear Asses type. All this thinking helped me put that conflict in perspective and figure out why this is so fascinating. What I’ve been thinking is long and complicated, and will definitely be discussed later in great detail, but I realized that what appeals to me about studying the dialectic of video game effects is not the simple “in-game friends provide social support, but might displace real-life friendships”, it’s the actual nature of in-game relationships in all their glorious variation. I’ve had online friends who later became enemies (no, I don’t think it’s funny to be sexually harassed in gchat), but also online friends who became best real-life friends, despite living 2300 miles away (/wave to Judy and Dave). But the thing that helped my mental health the most was probably the thing that was also the most addictive—raiding. Why? Well, when my guildies helped me gem up and get the right enchants, pots and food before heading into Ulduar, I felt so special. They were spending thousands of gold (a big deal at the time) to help a depressed housewife play this dumb game and feel like an elite raider. They must really be kind and supportive people, I thought, just like the great friends I’ve made in my support group. They will become my close friends and we will treasure each other always. That’s what was valuable to me about the game—the online friends were important and fun, the game content was stunning, but just being a useful warm body (with excellent crowd control) in a raid meant that I actually could do something useful when I felt like I couldn’t. I didn’t realize what this meant in mental health terms until I read an excellent paper where the authors created a variable they called “social dysfunction” based on items from the General Health Questionnaire like “felt playing a useful part”, “capable of making decisions”, and “able to enjoy daily activities.” Reading those items led me back to Statistics for Psychosocial Research II, where we talked about our professor’s research on aging and the importance of participation—just being involved in something in the community. From a mental health perspective, raiding wasn’t really a source of social support, and since I didn’t care about the achievements too much, it wasn’t a source of mastery. It was participation. I wasn’t capable of being out and about too much at the time. My depression was pretty bad and it just felt safer to stay at home where I wouldn’t have to deal with people and their stares. 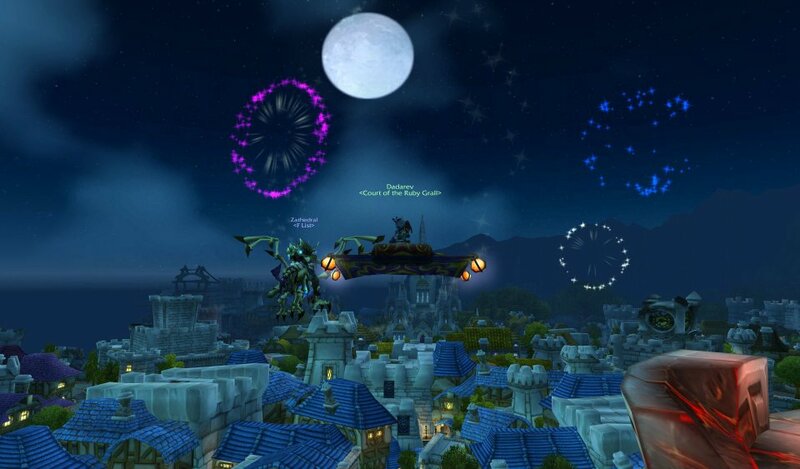 Raiding, and WoW in general, was a way to connect to a community and be useful, whether it was adding a modicum of assistance to my fellow guild members or gathering the most herbs for the guild bank of anyone, because I loved flying around the beautiful landscapes on the magic carpet I created with my own two (virtual) hands. When I’m asked how I got here, I usually start with another story, and that story is also true. But now that I’ve thought about it, this story is the one that’s at the heart of why I’m so fascinated by video games, and the one I think will be guiding my next steps. So stay tuned! 1.Game addiction is not a thing. Researchers may call it a thing because people understand the general idea, but the proposed diagnosis is Internet Gaming Disorder, which is, itself, controversial (tbd).